Incredible home with a great floor plan in a 5 star gated community. Gold Tree is resident owned and as an owner you enjoy the benefit of low monthly maintenance fees, and more importantly your voting rights. 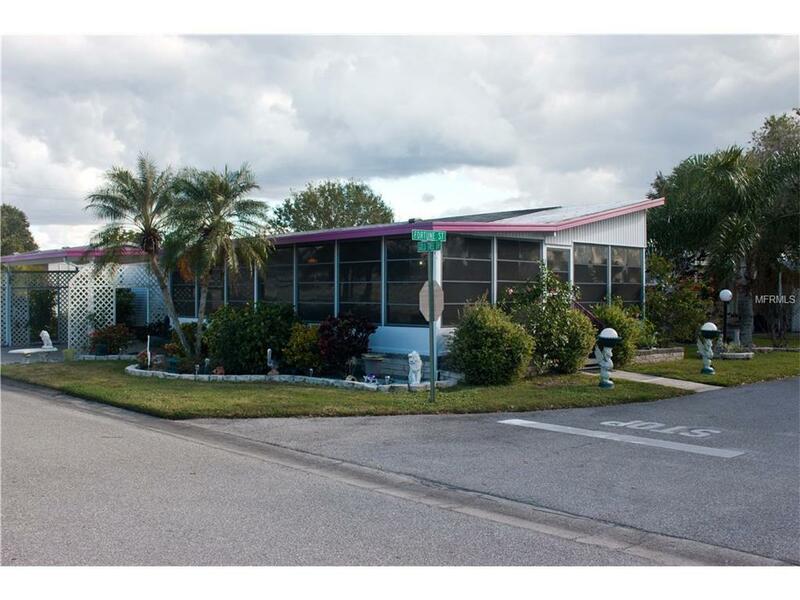 This large 2 bedroom/2 bathroom home on a corner lot is in a great location of the park. Just a short distance to the Clubhouse, Tennis Courts, an Olympic size Heated Pool, Hot Tub, Shuffleboard, Pickle Ball. Come and enjoy the Florida lifestyle. Many events thru out the year, music and food on Mondays, Dances, parties and much more. You will love the open floor plan. A spacious wrap around screened lanai with vinyl windows. This home is well maintained with laminate flooring and wonderful landscaping, a double driveway for two cars side by side, and even a pad for a golf cart. A great feature with the kitchen sink overlooking with bay windows in kitchen and the large master bedroom. Laundry room is spacious with cabinets, closet and even a desk area for your computer. If you are making a move to this area you owe it to yourself to check out this community and this home. This home will not last long! Gold Tree has so much to offer for everyone. Come check out this home!